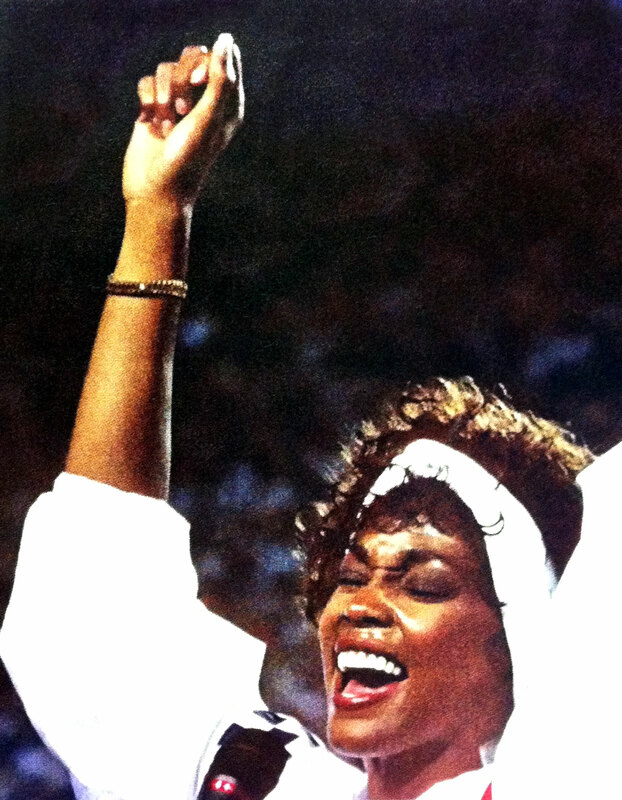 It is sad to think that Whitney Houston now belongs to the ages... 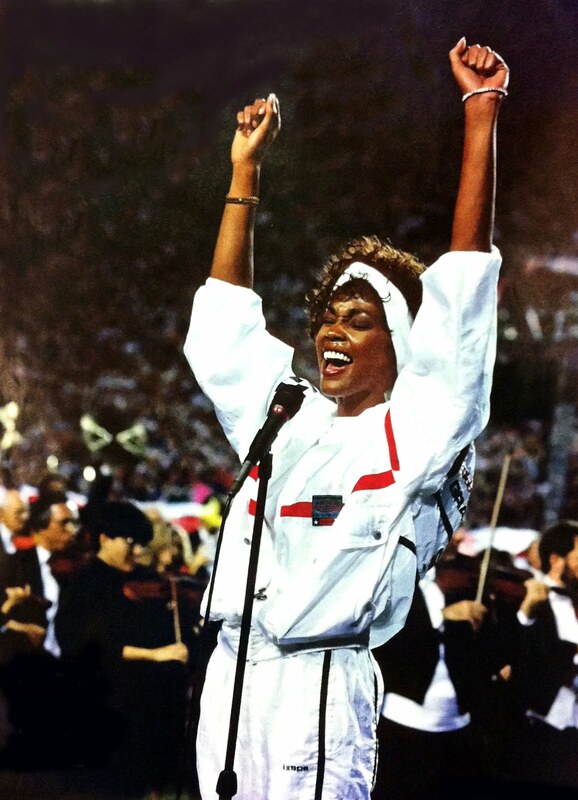 In the photo below we see Whitney Houston at the 1991 Superbowl, singing the National Anthem, and you can see she was wearing her yellow gold Rolex Lady Date. 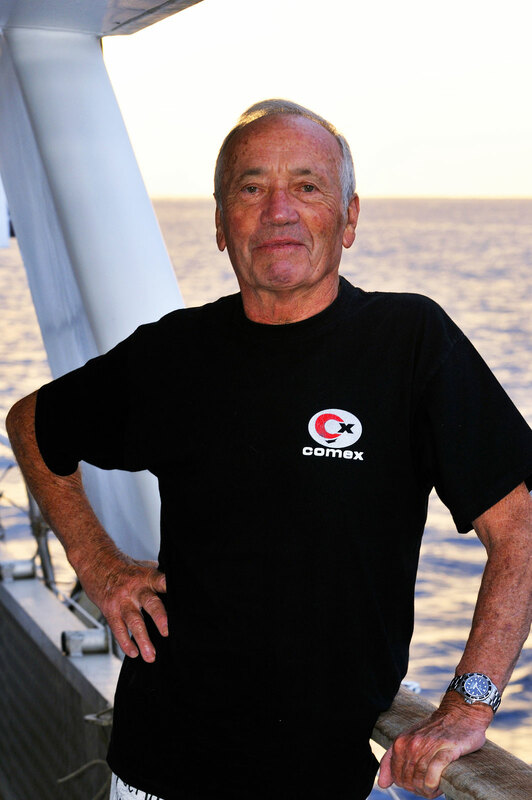 Henri-Germain Delauze, diving legend and founder of the French COMEX diving Company passed away on February 14, 2012 in France at age 83. 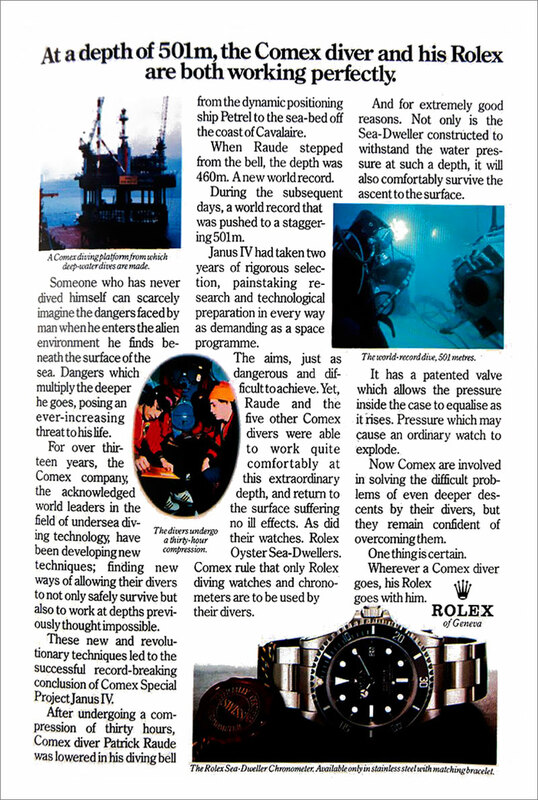 COMEX formed a strategic partnership with Rolex in the early 1970s to explore diving watch technology, and that relationship continued up until the present with the COMEX contributing to the development of the Rolex DEEP-SEA SEA-DWELLER. I was fortunate to have become friends with Henri-Germain. Four years ago, in 2009 I spent a lot of time working with Henri-Germain and COMEX on putting together a huge number of photos for a future story on COMEX. The COMEX story will be Part 11 of my Rolex history series named "The Complete History Of The Rolex Submariner & SEA-DWELLER." In 2009, I also conducted an in-depth interview with Henri-Germain which covered his lifetime achievements. So why have I never published all his photos and podcast? Because publishing a huge story like his is a huge undertaking, and I do everything by myself on Jake's Rolex World, which is very time consuming. There are so many undocumented Rolex history stories, I often get overwhelmed with which stories to tell, and when. Henri-Germain Delauze career achievements were so great, I am going to stop all publishing on Jake's Rolex World and just focus on telling his amazing story–until it is complete. I am going to dig through Jake's Rolex World archives and pull out all the photos and publish the podcast interview as well. Once I have completed telling his story, I will remove this notice. 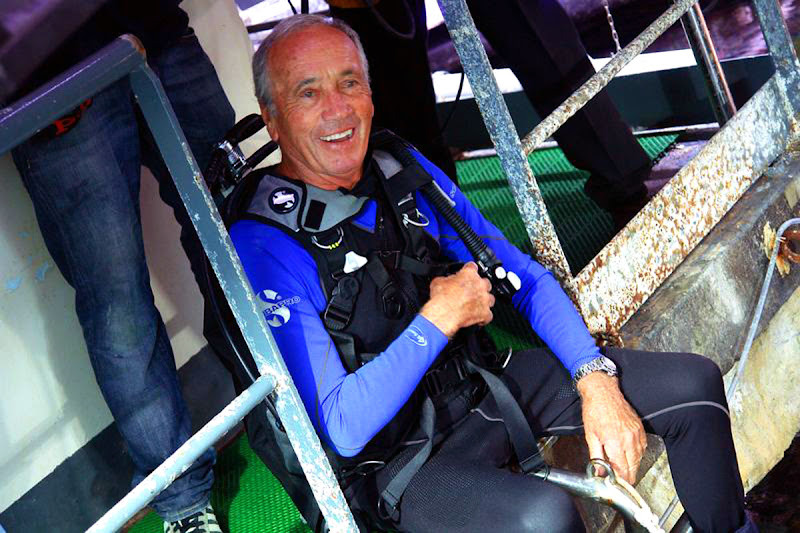 Henri Delauze is not only a diving legend, but he is also the founder and CEO of the French diving company COMEX. I asked Henri if we could take some pictures for the upcoming COMEX story that showed him wearing his trademark ROLEX COMEX SEA-DWELLER and as you see, he graciously obliged. I asked Henri-Germain if we would take some photos where you could see the COMEX designation on his SEA-DWELLER, because I realized there previously were not any–at least that I have ever seen. I also completed an amazing podcast interview with Henri which will be part of his story and we will have a tremendous amount of exclusive COMEX history that has never been shared with the public. 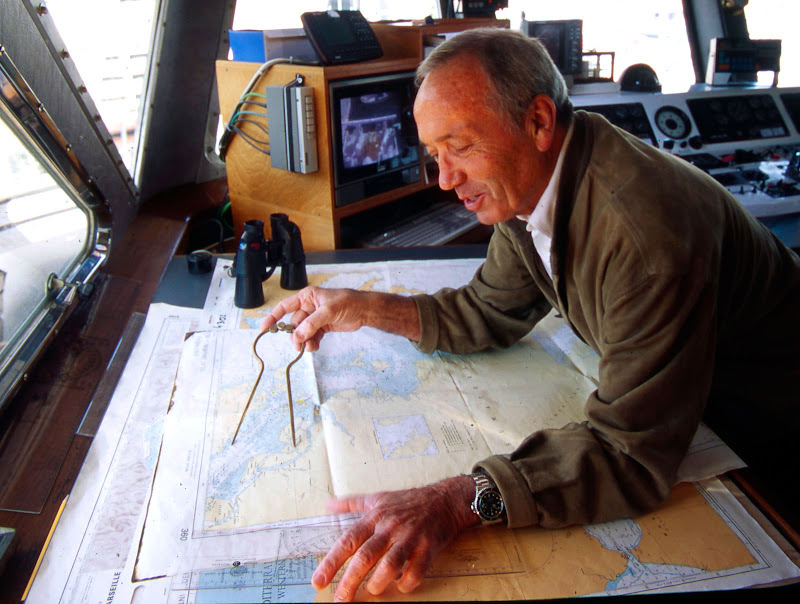 The photos above of Henri Delauze were taken in 2009 in Marseilles, France, when Henri was 80 years young, and they are exclusive to Jake's Rolex World. Henri-Germain ran COMEX until he passed away. He stayed in great shape his whole life and continued diving regularly. His story will blow your mind!!! 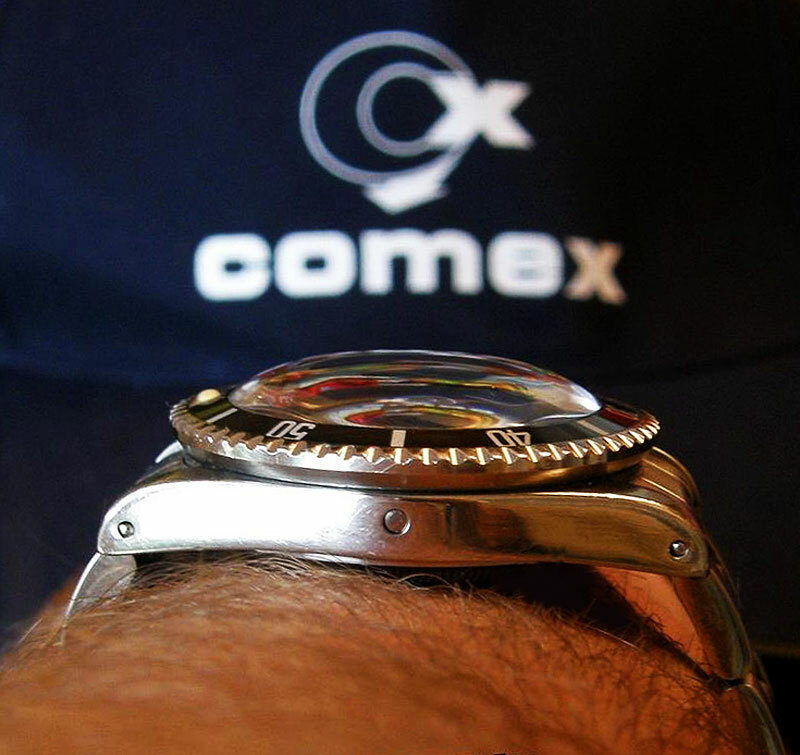 What Is A Rolex COMEX Watch? Before we go in-depth on Henri-Delauze's amazing career achievements, let's explore what a Rolex COMEX watch is so we may understand the significance of the relationship between Rolex and COMEX. I will admit, that as a Rolex historian, the Rolex COMEX history or story has been, perhaps, the single most confusing and challenging stories for me to wrap my head around. Why? I don't know for sure! I think it is because COMEX is a French company, and what they do is so esoteric, that is was difficult for me to understand. 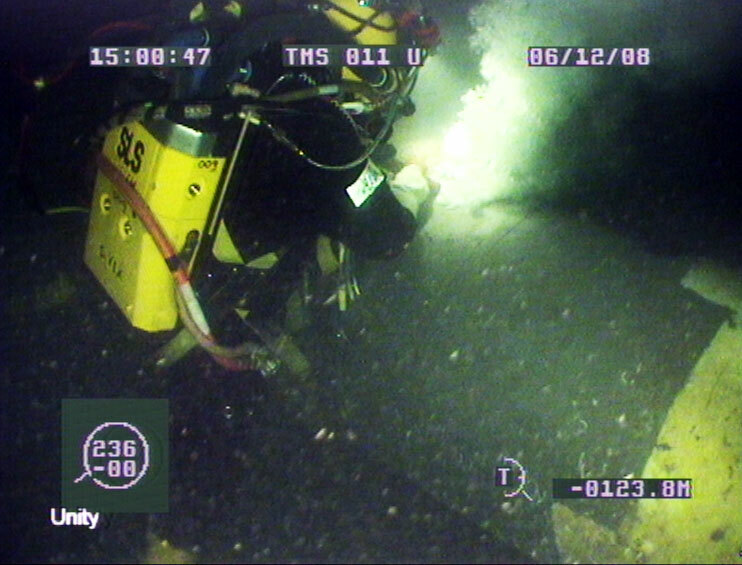 DEEP-SEA diving in general, for the lay-man is almost arcane. On a side-note, I always try to share Rolex history so it is not only fascinating and educational, but I always try to do it so a 3rd grader can understand it, and this story–as I just mentioned–has been very challenging to do so with, but I believe I have achieved doing so. 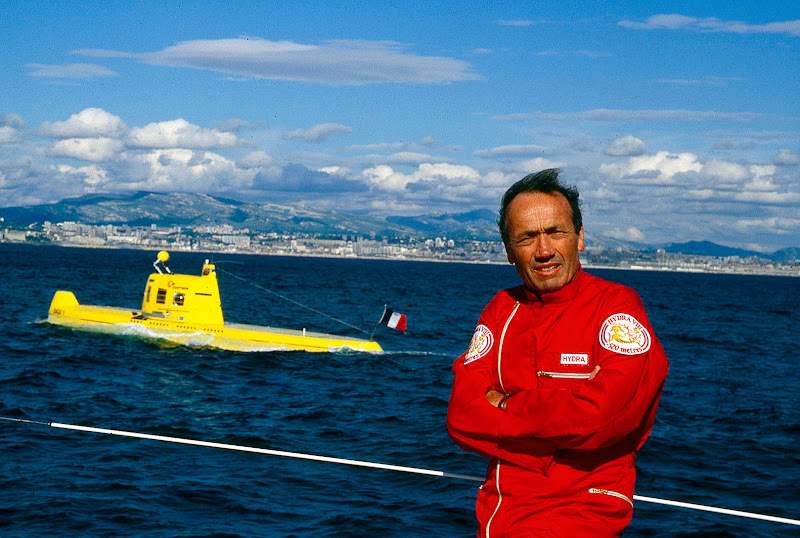 In the early 1970s, Rolex CEO Andre Heiniger became fascinated with Henri-Germain Delauze's amazing career achievements and in particular, Andre was fascinated with the future direction of COMEX's deep sea exploration. Andre Heiniger reached out to Henri-Germain Delauze and formed a strategic partnership. 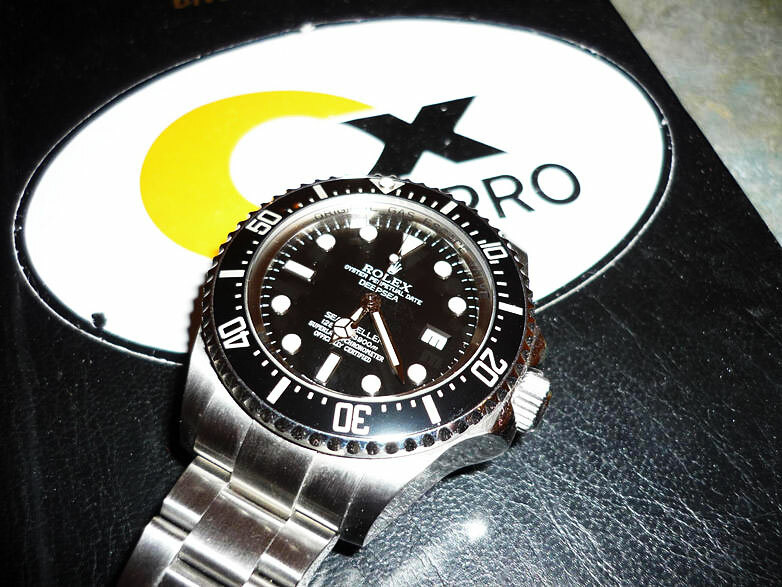 The terms of the partnership was that Rolex would provide all COMEX divers with special Rolex Submariner and SEA-DWELLER watches at no cost, in exchange for COMEX providing Rolex with detailed performance analysis. In order to differentiate the COMEX Rolex Submariner and SEA-DWELLER models from standard versions, Rolex decided to created a special "COMEX" dial designation that placed the COMEX logo above the model name on the watches. 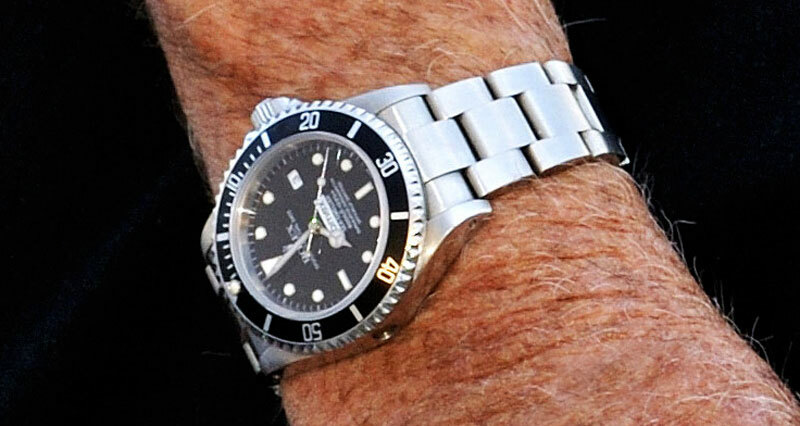 In the next three photos that Ryan took of his Rolex COMEX Submariner, we see the COMEX designation. This first image shows the COMEX designation up close. This next image shows the same dial as pictured above. The rarest Rolex COMEX models are Submariner models. The vast majority of Rolex COMEX models are Rolex COMEX SEA-DWELLER models, so the version below is very rare and valuable. The vast majority of Rolex COMEX Submariner and SEA-DWELLER watches have a helium escape release valve as pictured below. All Rolex COMEX watches are extremely popular with collectors and have achieved almost a cult-like status. Having a COMEX model designation on the dial and case back often increase the value of the Rolex by more than 10 times. Typically COMEX Rolex watches are worth at least $50,000 or more!!! Henri-Germain Delauze founded COMEX in 1961. 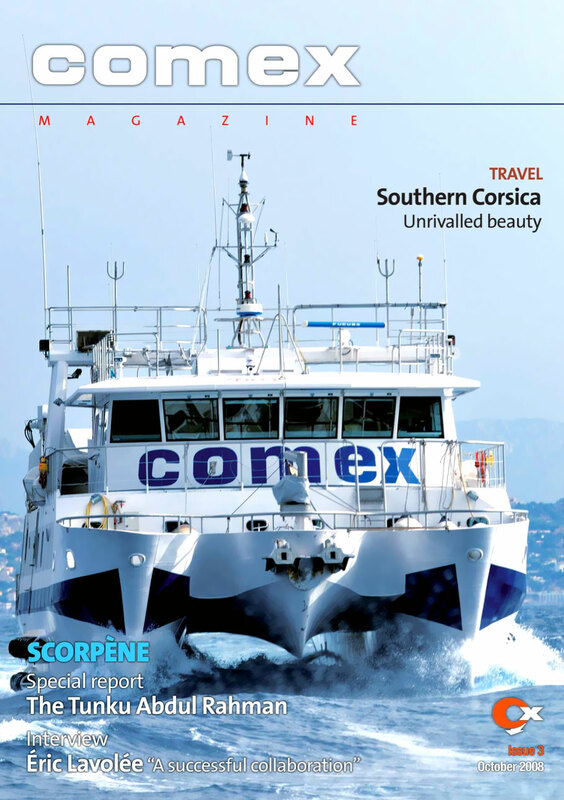 COMEX is the acronym for Compagnie Maritime d'Expertises, which translated from French to English means "Expert Maritime Company." 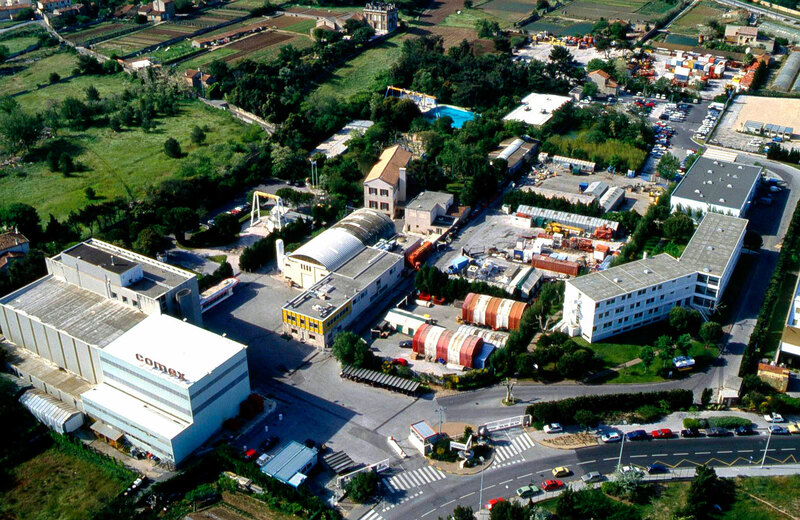 COMEX has always been headquartered in Marseilles, France, and you can see their facility pictured below. COMEX headquarters are equipped with hyperbaric testing facilities and a testing pool. 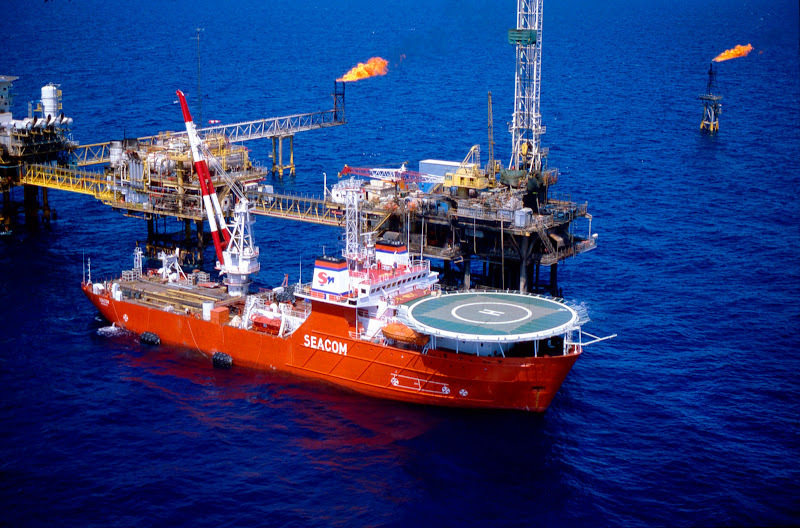 Henri-Germin Dealuze was an early pioneer in Saturation diving and specialized in engineering and building deep sea oil rigs out in the middle of the ocean. These offshore oil rigs were essentially like having a factory out in the middle of the ocean that produced oil. 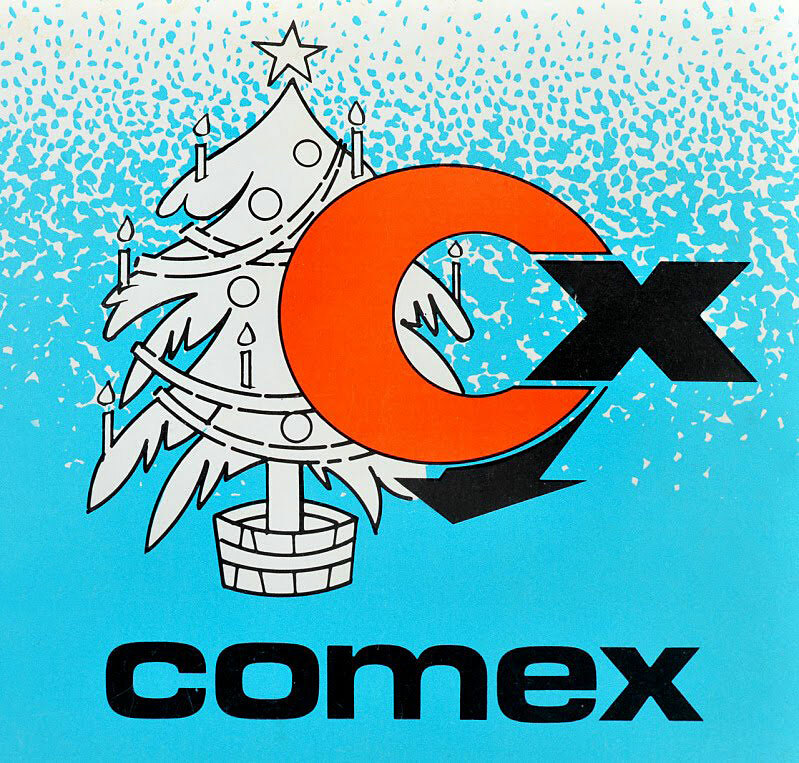 COMEX divers also specialized in all kinds of underwater construction including underwater pipelines that concocted the world with all kinds of things like oil, fresh-water and telephone lines. 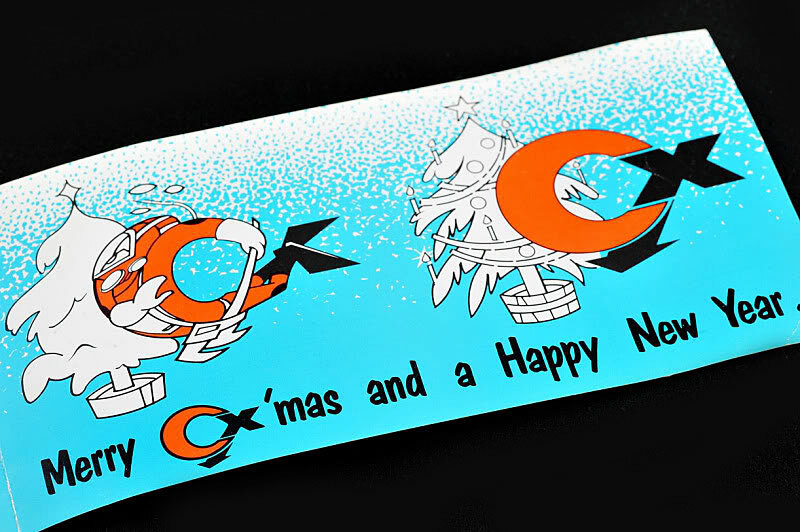 COMEX also specialized in underwater treasure hunting as well as underwater reconnaissance, as we see in this piece of COMEX artwork. 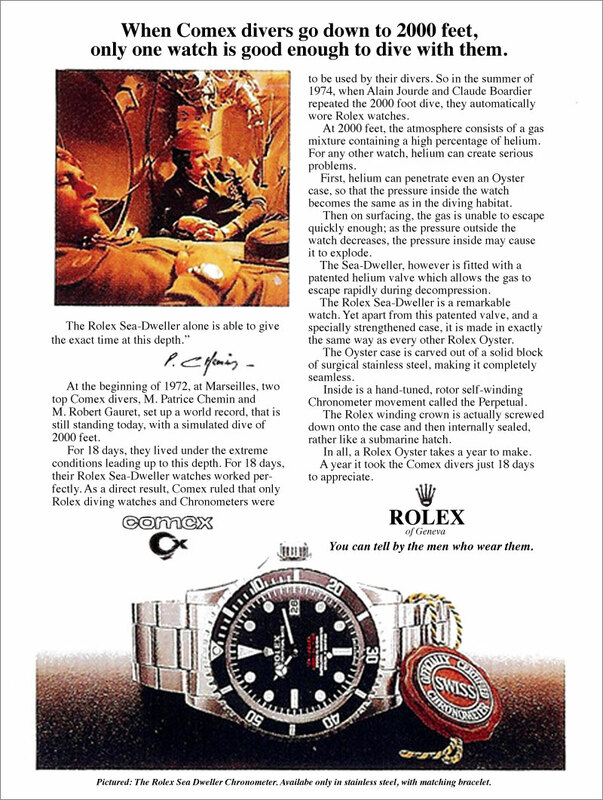 Rolex never sold Submariner or SEA-DWELLER models with the COMEX logo designation to the public, but they showcased their relationship with COMEX in magazine ads for the Rolex SEA-DWELLER. This first Rolex SEA-DWELLER ad is from 1975 and it features the amazing DOUBLE-RED SEA-DWELLER dial designation that is highly coveted by collectors. 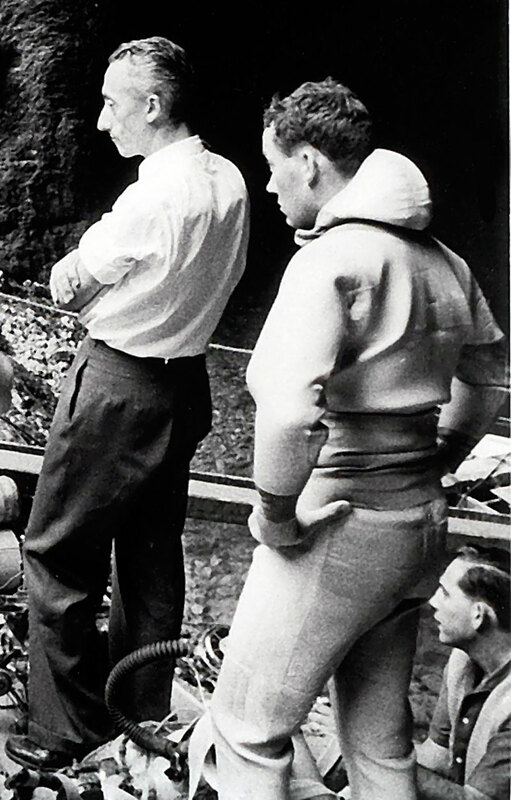 Alain Jourde and Claude Boardier are featured in the Rolex COMEX magazine above and in this photo from the COMEX archives we see them in the COMEX habitat both sporting their Rolex SEA-DWELLER models. Of course, 610 Meters is equal to 2000 feet. 51 Heures when translated from French to English means 51 hours. 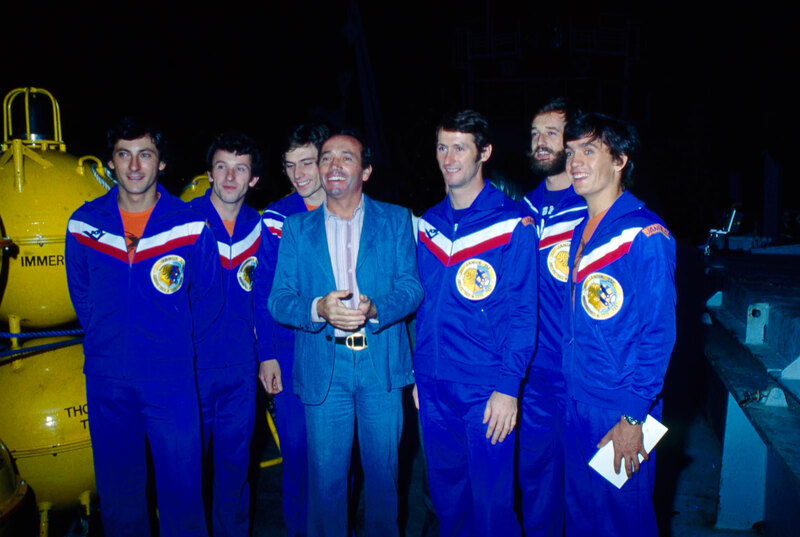 Henri-Germain Delauze is pictured below with his Janus 4 team members. 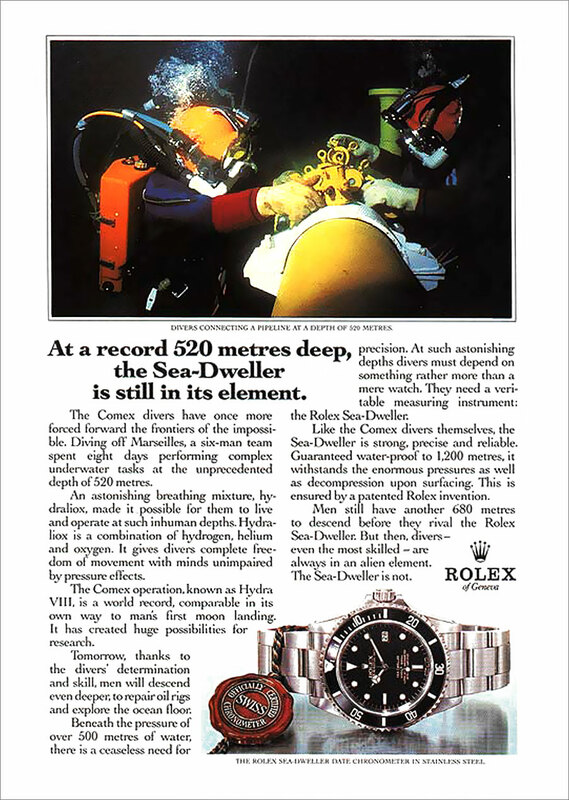 This 1991 Rolex COMEX magazine add for the Rolex SEA-DWELLER showcases some fascinating COMEX achievements from the COMEX Hydra 8 mission. 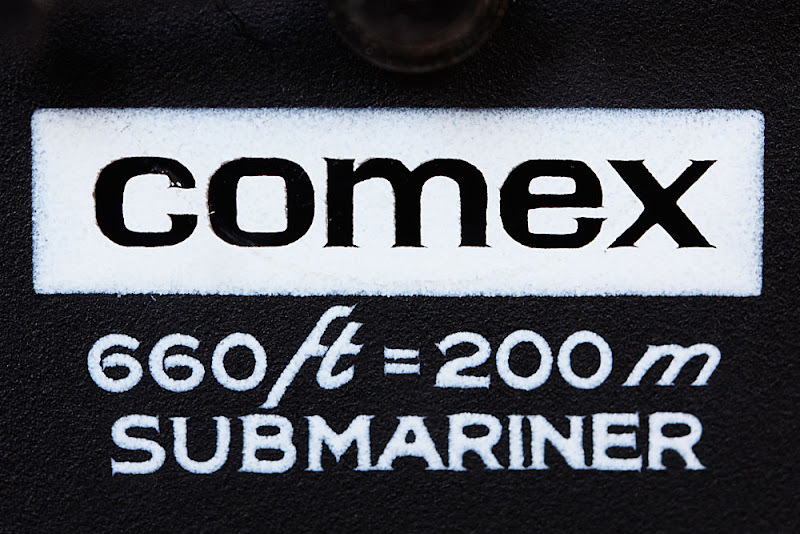 The COMEX Hydra 8 set the all-time record for off-shore, DEEP-SEA diving-depth. 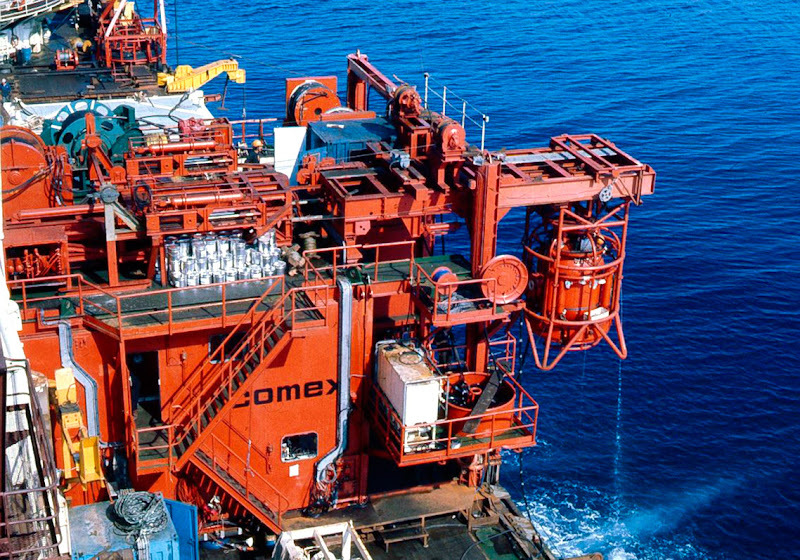 COMEX was working on a Mediterranean pipe-line which was 1752 feet (534 Meters) deep. 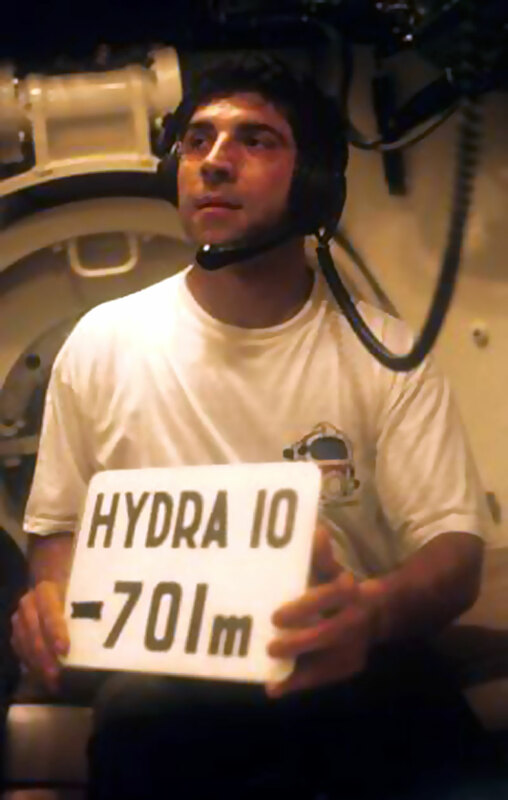 In 1992, COMEX again set a new world record of in an on-shore hyperbaric diving chamber. 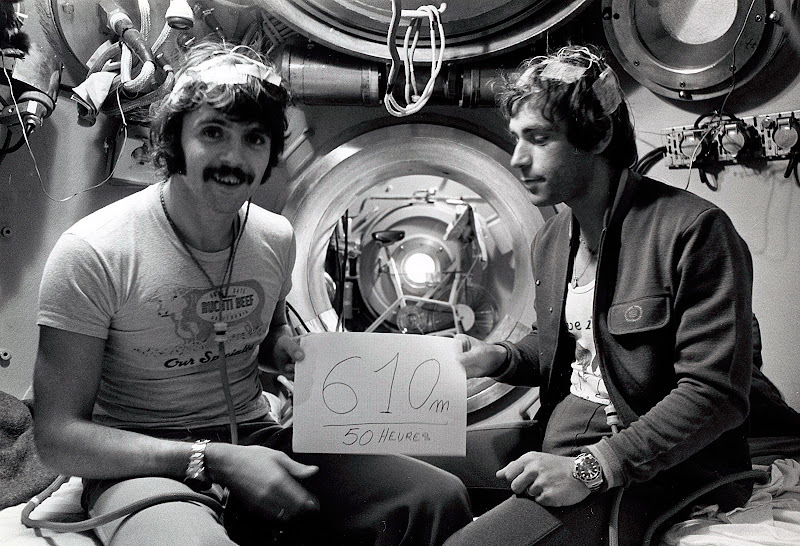 This time COMEX diver, Theo Mavrostomos sustained 701 Meters (2300 Feet) and it took him 43 days to complete his dive. Theo dove on a special breathing gas mixture of Hydeliox (Hydrogen, Helium & Oxygen). 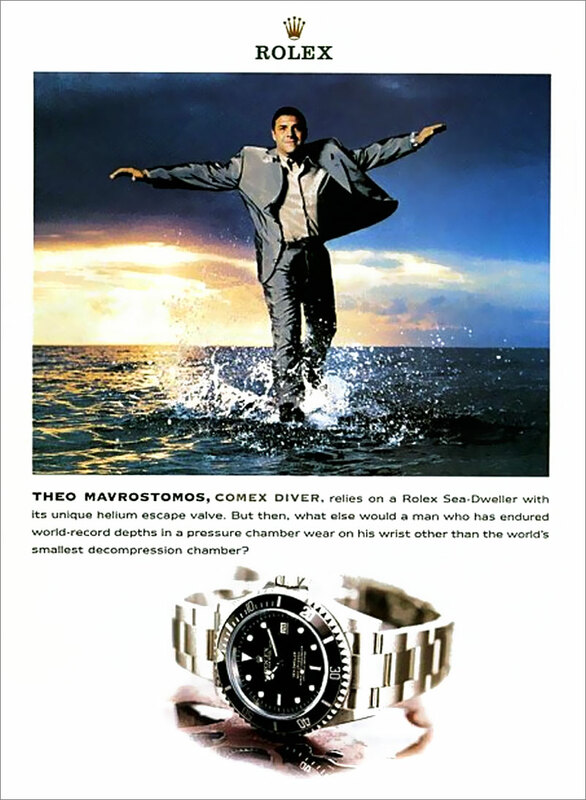 Theo Mavrostomos wore his Rolex SEA-DWELLER [Reference 16600] when he set this amazing record in 1992 (as seen below). 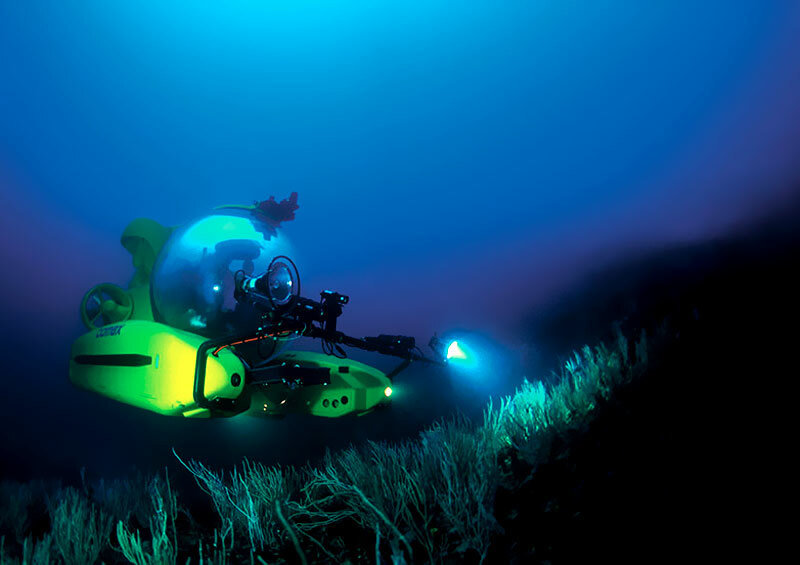 This model of SEA-DWELLER had a 1,219 Meter depth-rating which is equal to 4000 feet. This set the all-time depth-record for a simulated dive. Together Rolex and COMEX had pushed the absolute boundaries of what was necessary or realistic. 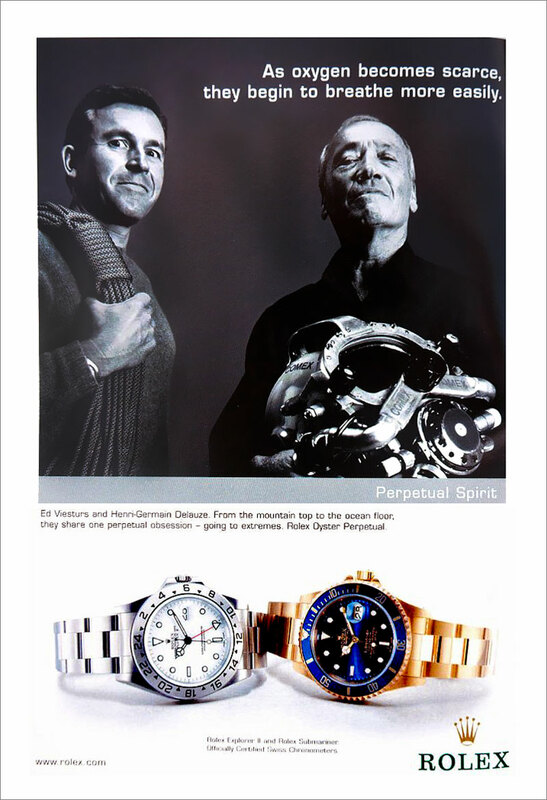 Henri-Germain Delauze was featured in this 2005 Rolex ad next to fellow Rolex Ambassador to Ed Viesturs. Unfortunately there have been many Rolex history myths that have been circulated in the past. These myths typically become to widespread, they become accepted as truth. That was the case (no pun intended) until I came along and started publishing my Rolex history research findings. Examples of false Rolex history myths I have busted and proven to be false include what was previously referred to as "The Steve McQueen Explorer." In other words, there was a false myth that had been perpetuated that put forth the supposed fact that the famous actor, and race-car driver, Steve McQueen wore an Orange Hand Rolex Explorer II. This false myth was so heavily perpetuated (no pun intended) that some of the top auction houses in the world would refer to the Rolex "Orange Hand" Reference 1655 as "The Steve McQueen Explorer." The only challenge is that Steve McQueen never owned or wore a Rolex Explorer!!! Steve McQueen did wear his trademark Rolex Submariner, but was falsely attributed with the "Orange Hand" Rolex Explorer II. So who cares if these myths have been floating around for many years that are not true? I do. As the worlds leading Rolex historian, I want Rolex's history to remain pure and true, just like their watches. What does all this myth busting discussion have to do with COMEX? 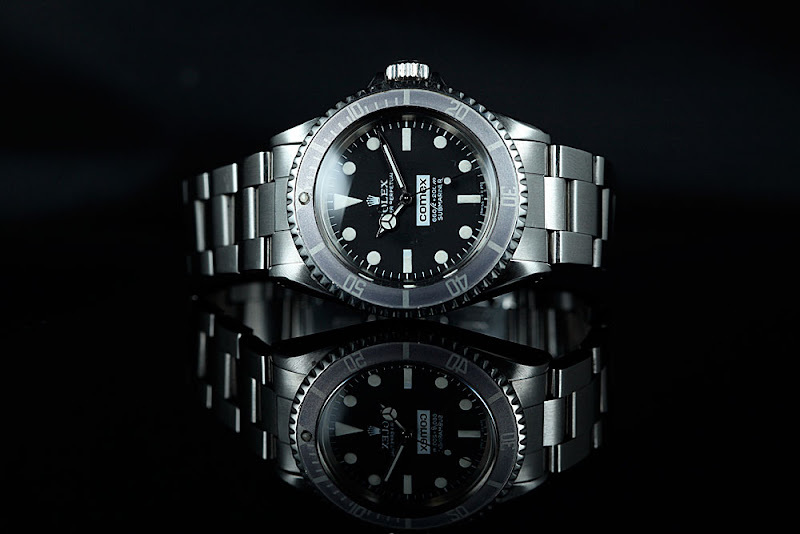 One of the most significant falsely perpetuated myths, was that "COMEX codeveloped the Rolex SEA-DWELLER with Rolex in the mid to late 1960s." It turns out that there is not a shred of truth to this myth. How do I know? 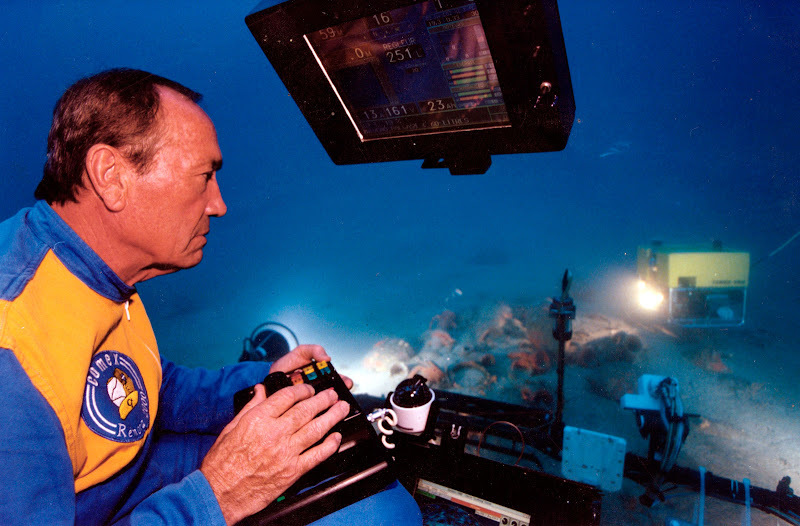 Because I did the heavy research on this and discovered the truth, which is that Rolex co-developed the Rolex SEA-DWELLER with the U.S. Navy SEA-LAB team, and in particular, with the U.S. Navy DEEP-SEA diver, Bob Barth. 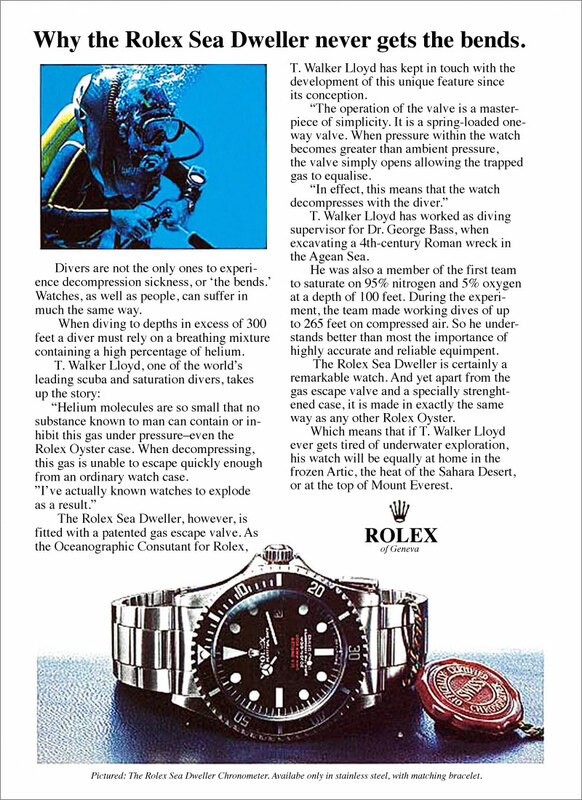 Bob Barth worked with T. Walker Lloyd who is featured below in the Double-Red Rolex SEA-DWELLER magazine ad from the 1970s. 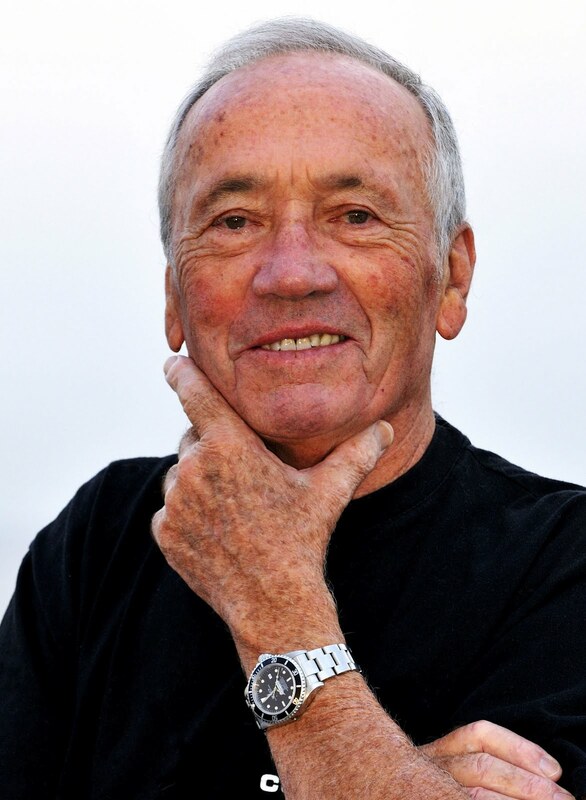 In my upcoming podcast interview that I recorded in 4 years ago, in 2009 with Henri-Germain Delauze, you will hear from him first-hand that COMEX had nothing to do with the development of the Rolex SEA-DWELLER, and that COMEX only began working with Rolex in the early 1970's, which was years after the Rolex SEA-DWELLER was introduced to the market for deep sea divers. 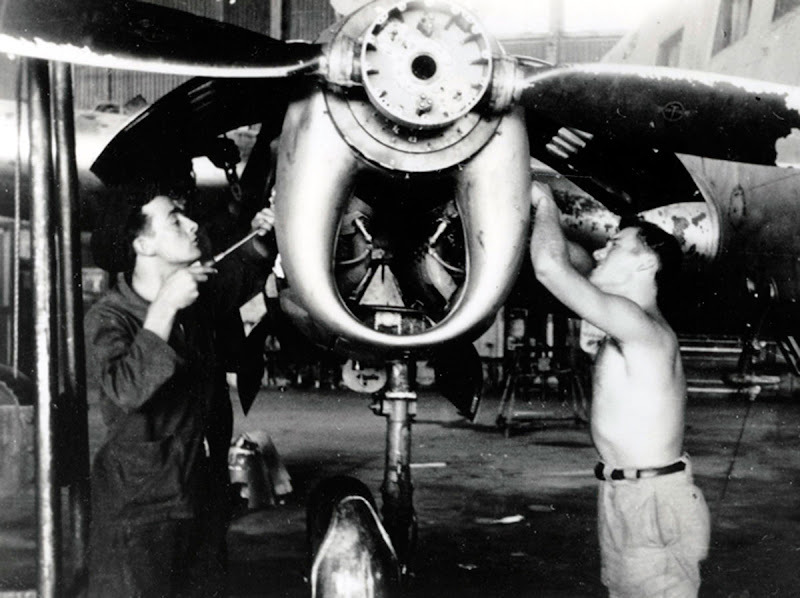 The image below of Henri-Germain Delauze (pictured on right) was taken in 1949. 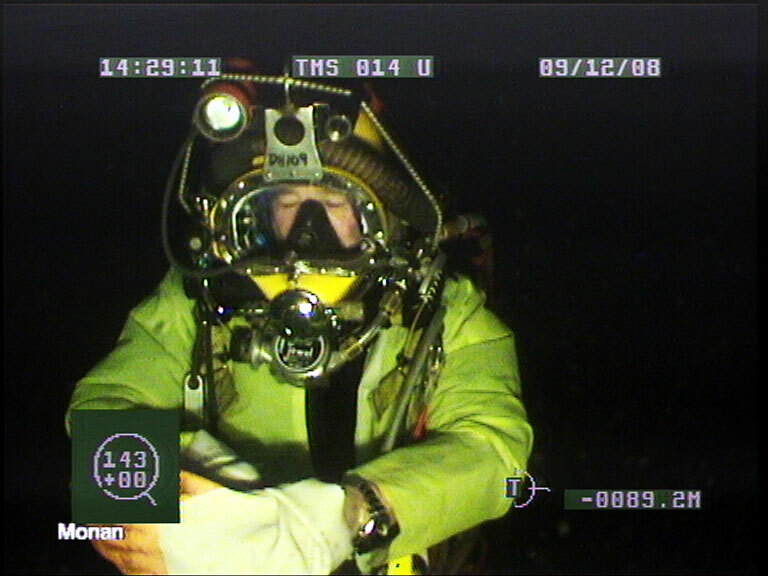 Henri-Germain Delauze learned how to dive when he was in the French Navy. He is pictured above standing on the left. 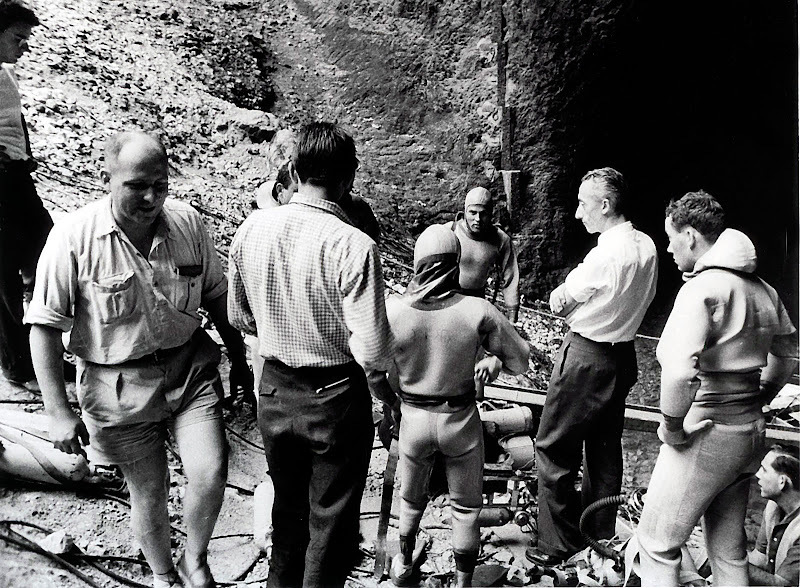 Just to give you a frame of reference, I included this profound photo of Hernri-Germain Dealuze that was taken in Southern France in Fontaine de Vaucluse in 1955 and it shows a young Jacques-Yves Cousteau at 45 years of age standing in front of a much younger Henri-Germain Delauze–at age 26–who would go on to found the revolutionary French diving company, COMEX. 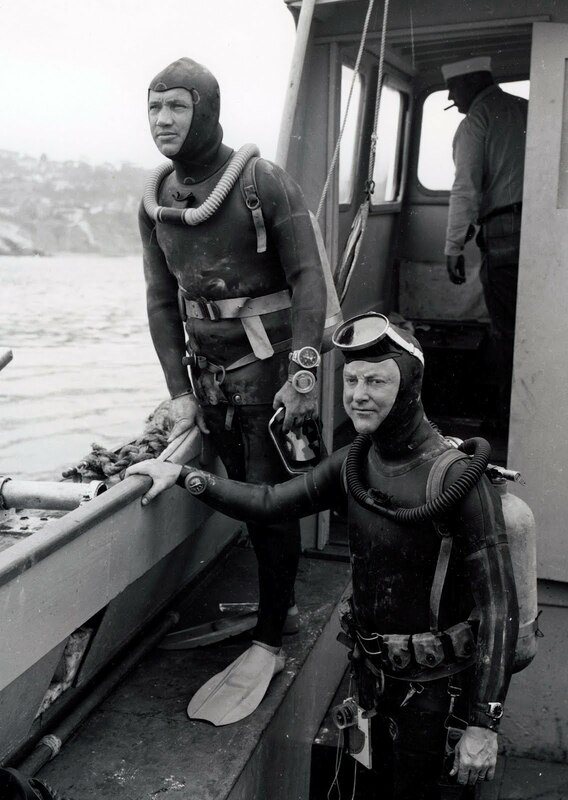 At the time Dalauze was a Cousteau team diver. 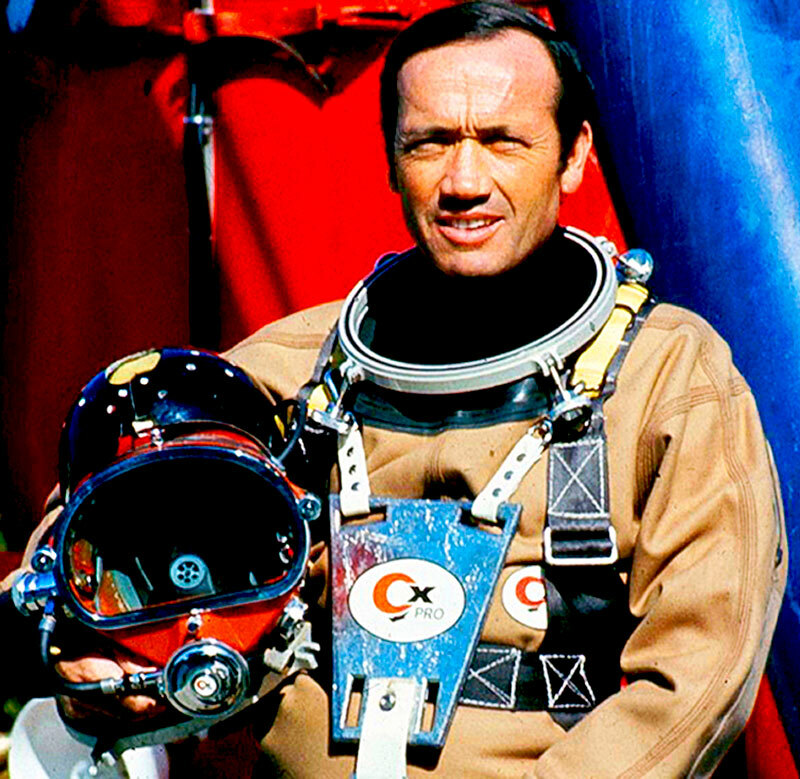 Jaques-Yves Cousteau co-invented the Aqua-lung which brought SCUBA Diving to life and Henri-Germain Delauze ended up being perhaps the greatest beneficiary of this technology. It is so profound to consider the man on the right in the picture below taken 59 years ago is the same man pictured at the top of this story!!! 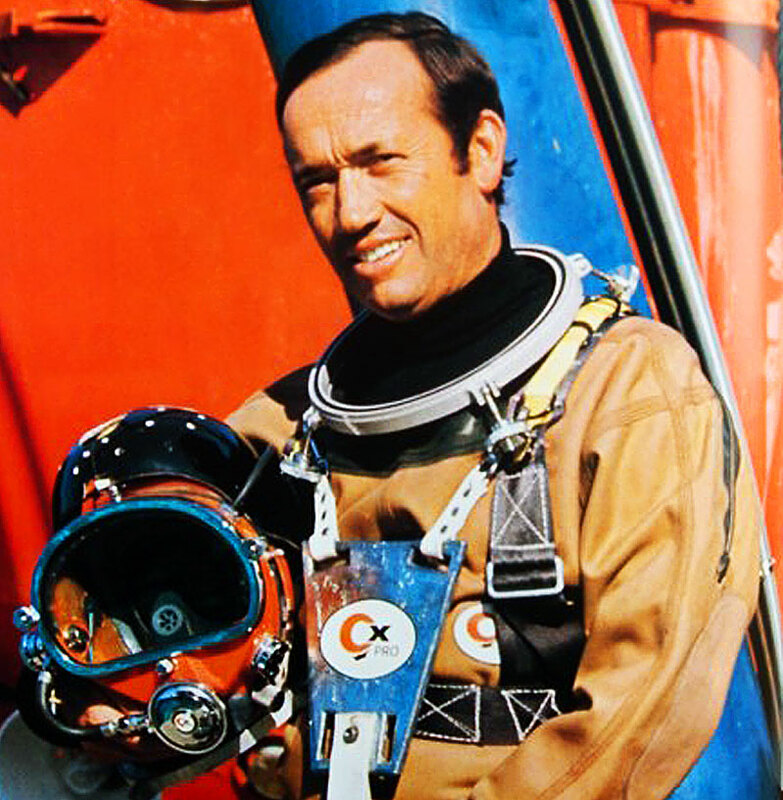 Henri-Delauze is considered to be one of the greatest underwater explorers, and it can be argued he and his COMEX divers were essentially underwater astronauts–known as Aquanauts. 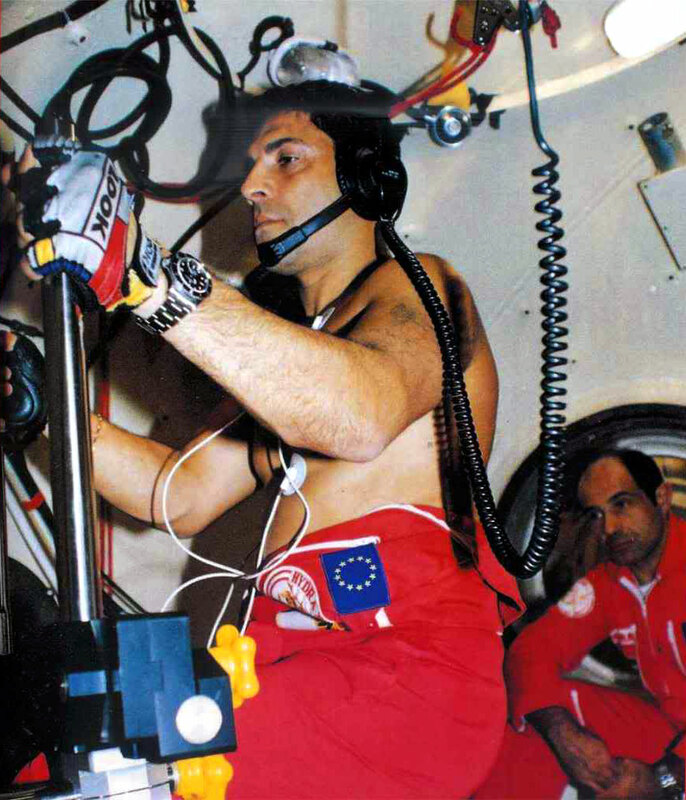 Henri-Germain is pictured below during a test procedure at COMEX headquarters in Marseille, France. 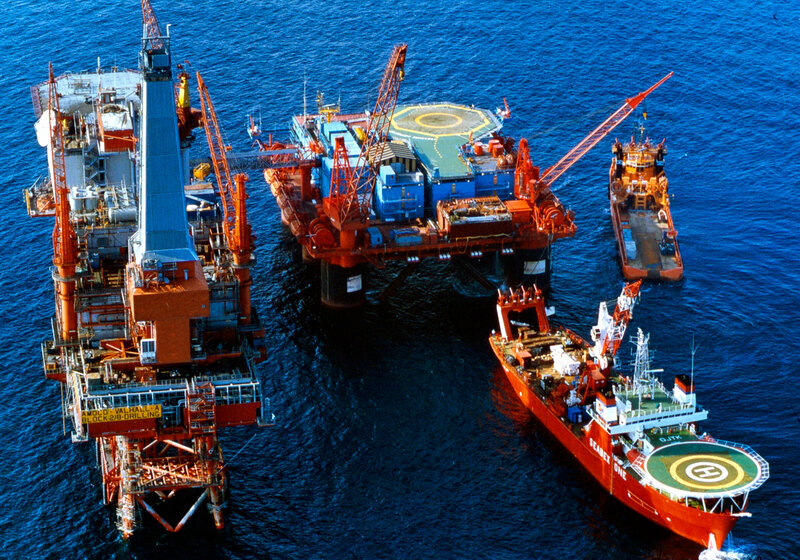 COMEX was involved in a French-Canadian consortium that built the worlds first commercial nuclear miniature submarine for oil exploration and development under Arctic ice. 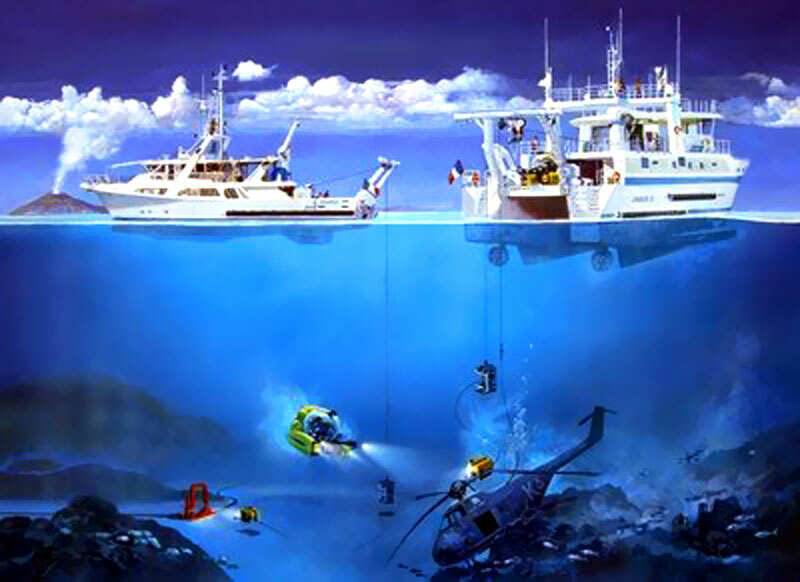 The SAGA hull was originally built by Jacques-Yves Cousteau, but was never completed due to lack of funds, but Henri-Germain Delauze resurrected the project and brought it to life. 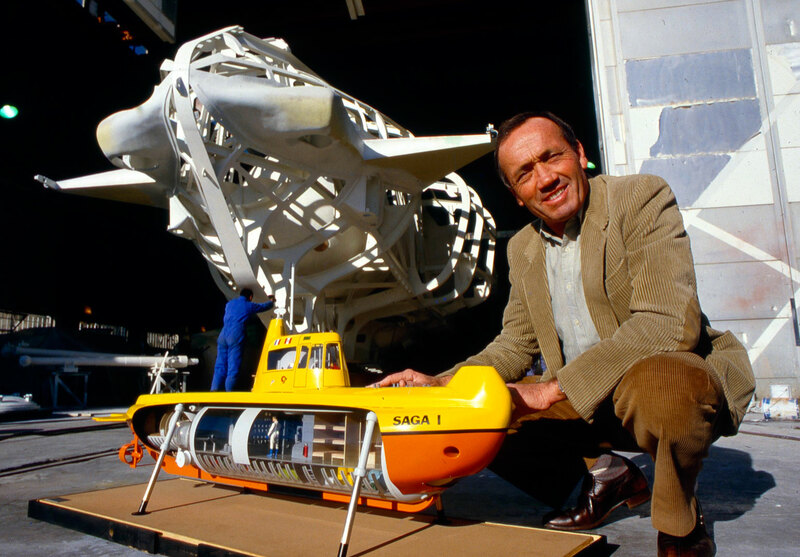 In the photo above we see Henri-Germain Delauze posing in front of the model for the SAGA 1, with the original hull that Jacques-Yves Cousteau built–located behind him. 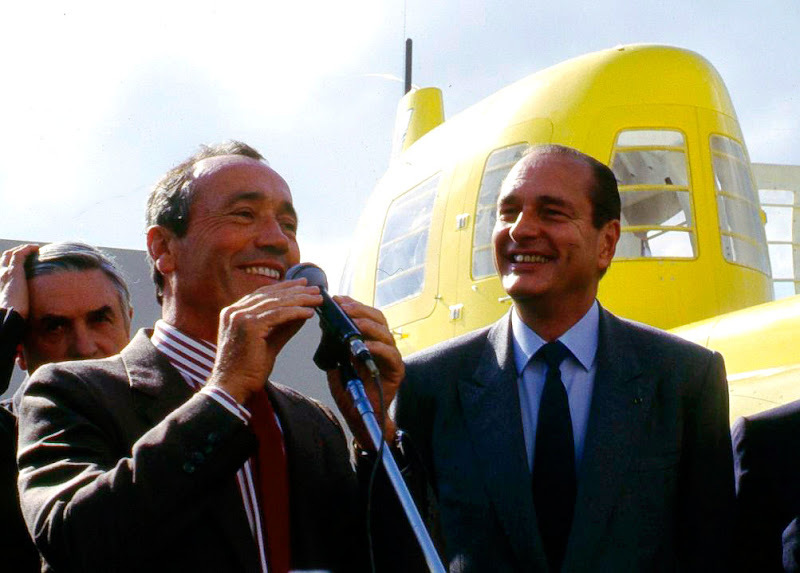 Henri-Germain Delauze is pictured below in 1987 with French President Jacques Chirac at the official launching of the SAGA COMEX DEEP-SEA Submariner. The SAGA had an entire saturation diving system built into it. The nuclear power plant on board was able to produce very large volumes of oxygen with hydrogen by utilizing an water electrolysis system. 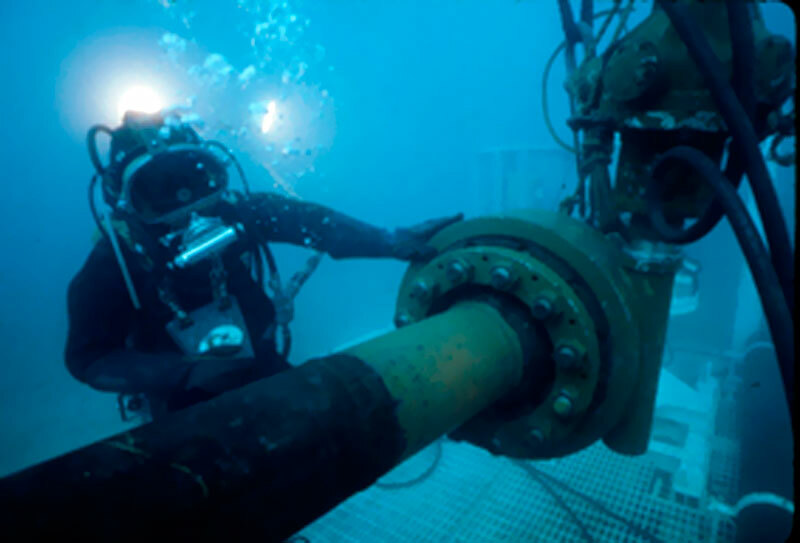 This highly innovative system was able to produce high volumes of breathing gas for diving operations located under the Arctic ice cap. 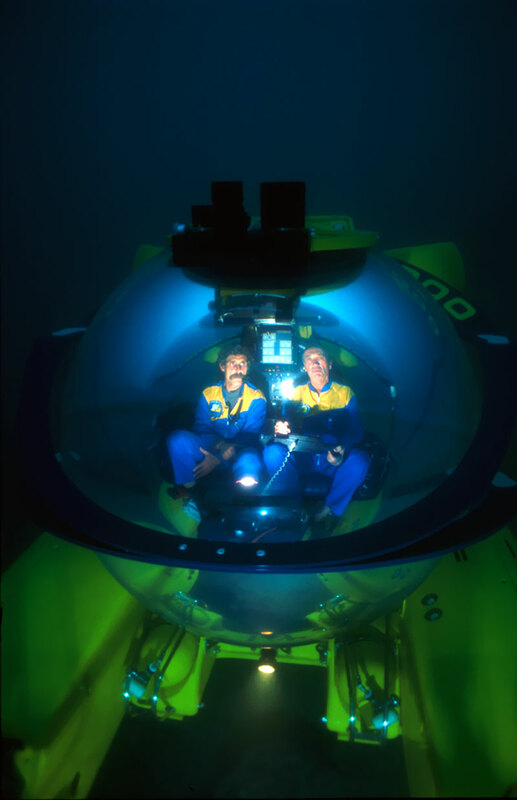 In 1998 Henri-Germain Delauze launched a 2 person submersible named the COMEX Remora 2000, which is pictured behind Henri-Germain in the photo below. 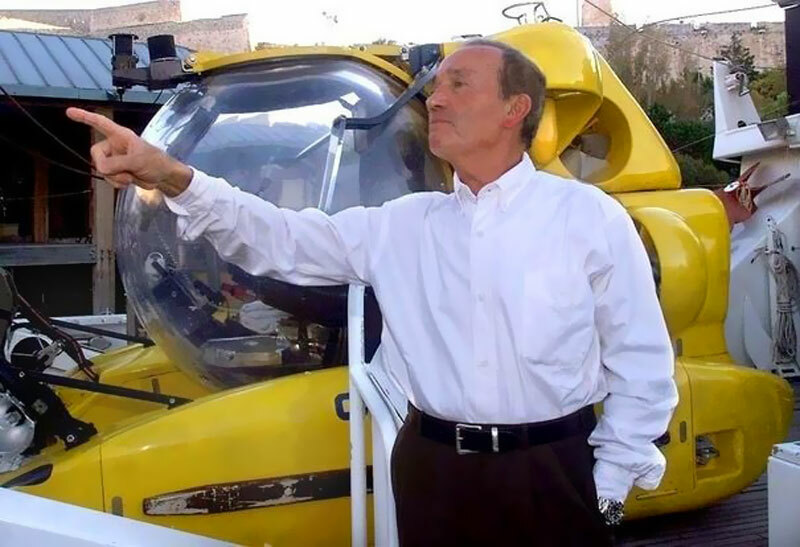 Henri-Germain referred to the Remora as being an underwater helicopter. The Remora was in many ways the ultimate two person submersible, and it could travel down to 610 Meters which is 2000 feet. 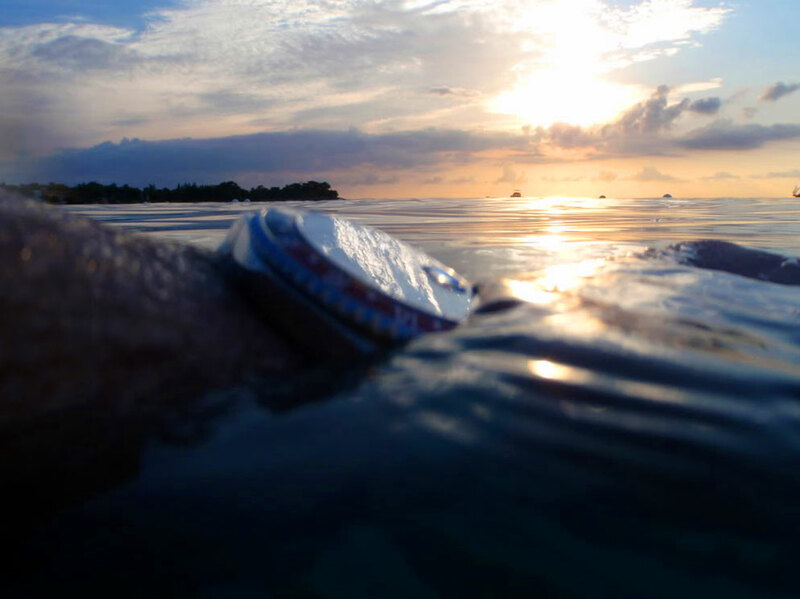 On of the advantages, was that like a submarine, the passengers did not need to decompress. The Remora is capable of staying underwater for up to 10 hours. This next video showcases the COMEX Remora and despite the fact it is in French, Henri-Delauze takes us on a tour. Henri-Germain Delauze remained active up until the last movement of his amazing career. He even published a COMEX Magazine, as you can see in the photo below. Henri-Germain Delauze was an amazing explorer, and he lived an extremely fulfilling life filled with adventure and achievement. 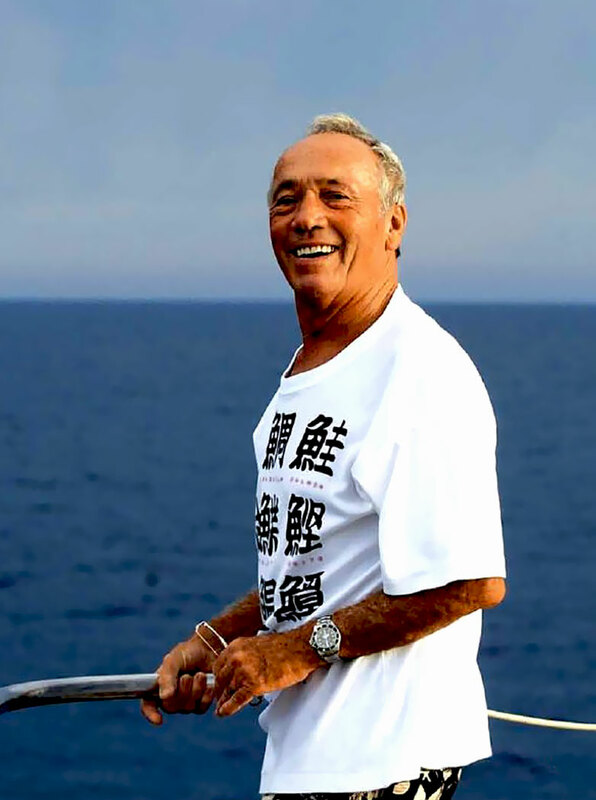 He also holds a remarkable special place in Rolex DEEP-SEA diving history, and in many ways he was the beneficiary of Jacques-Yves Cousteau innovation, as well as the brave U.S. Navy SEA-LAB divers.